On Remembrance Day, the Eco team made a collection of bird feeders to place in the science garden and reflection area. These are to encourage our wild birds into the school grounds during the coming winter months. Our school is taking part in 'Switch off Fortnight' which is an event that recognises the need to save electricity and lower our bills. 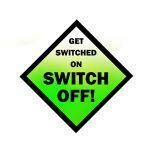 All staff and pupils will turn off all electrical appliances and light switches not needed to save energy. We would like to invite others at home to participate in this worthy event. Picking up the litter, weeding the vegetable garden and recycled the leaves in the Reflection Area. The Eco Council are working with Mr. Strevens to turn the piece of land on the corner of St. James' Lane and Hayes Road into a brand new outside classroom. We have started to think of ideas already. 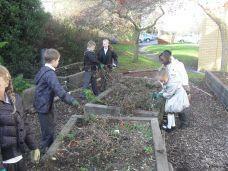 This term we have prepared the vegetable patch for winter and composted all of the weeds. 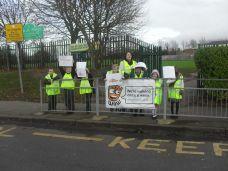 We joined together with the School Council for a discussion with Kent Highway Services on safely traveling to school and safer parking. 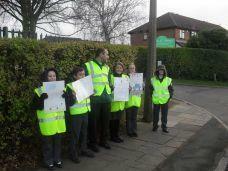 We also had our first Learning Walk. This is where we are given a focus to look at and check that each classroom is adhering to the focus. 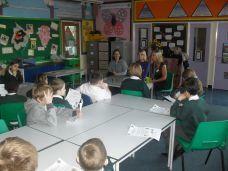 This year the Eco Council will be working towards the Silver Award. 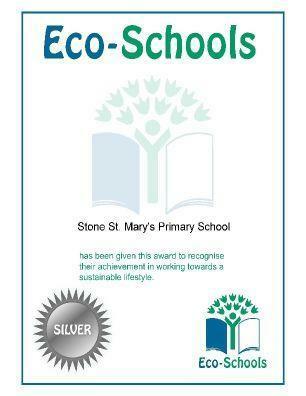 We have already started work on obtaining this award by giving each class an eco code. 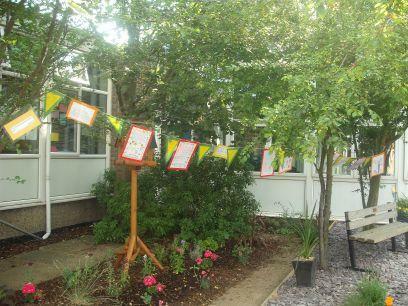 This is a quote from the Chair of the Eco Council, this is what he said; "We went out into the gardening area and saw that some tomatoes had grown, so we decided to pick them for our Harvest Festival and give them to people in the community. I enjoyed doing this". James has commented on the litter picking that we did around the school; We walked around the school and we had some grabbers and we picked up rubbish, I thought it was fun because we cleaned up the field and I like being outside. 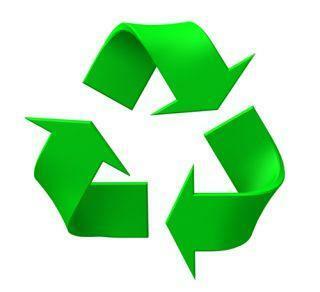 Please remember we are recycling phones and ink cartridges to reduce the amount of rubbish around the school and to be more eco friendly.